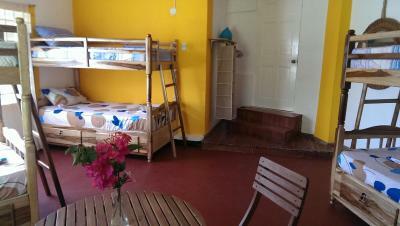 Lock in a great price for Germaican Hostel – rated 8.9 by recent guests! 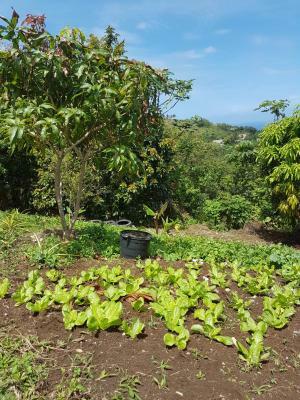 If you are looking for a place over the mountains with one of the best views in Jamaica, Germaican is definitely the place you want to be. The sunrise over there is crazy and at night you will have the nature silence over a sky filled with stars. The access is not that easy but I made it with a regular car. They also provide a delicious breakfast which makes the experience even better. Marion and his brother are cool dudes running this house. 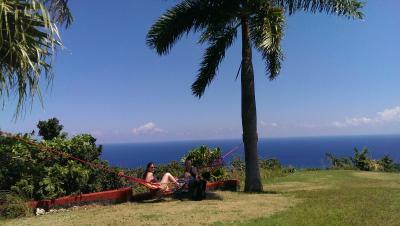 The view of the ocean and location atop a mountain surrounded by the jungle forest is sublime. Nice breakfast and use of a proper kitchen. Chill place. 420 friendly. 🎶Gonna put the world away for a minute, pretend I don’t live in it. Sunshine gonna wash my blues away. 🎶 ... was the song running through my mind when I made this reservation. The Germaican delivered! I lovely get-away from life with killer views. Of course, something worth having is worth working for...so these AMAZING views come with effort to get to and from this property. We walked up and down the mountain to town and back several times, but we don’t mind the invigorating hikes. My clothes were falling off on the way home because of lost inches! Woohoo! 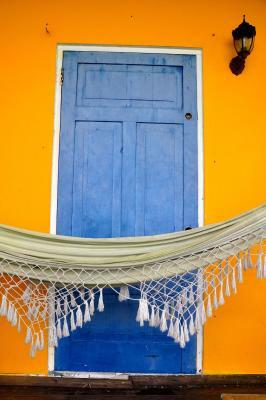 If you are looking for tranquil simplicity, this is for you. Very nice atmosphere. Stunning view. 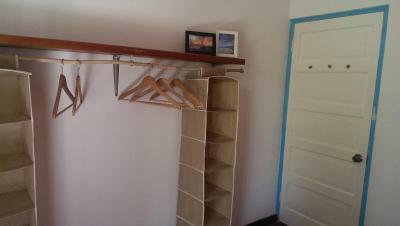 Big dorm well organized with shelves hangers for every guest. 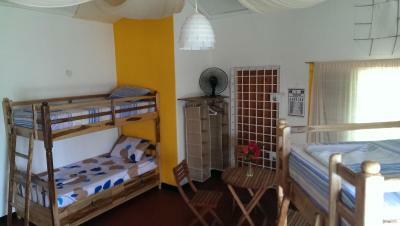 such a nice hostel!! loved it, breakfast was awesome, host and the volunteers as well, the view was amazing!!! The view is fabulous and the location on the top of the hill accessible through the forrest is just perfect for travellers. It is a destination of its own. Guys owning and running the place are super relaxed and always helpful and knowledgeable in local sttuff. 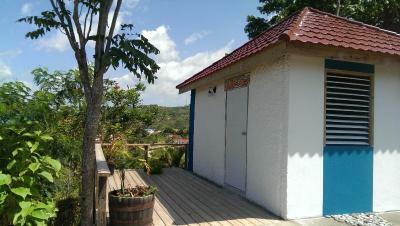 The hostel has an awesome view over Port Antonio (and the stars at night look incredible). The beds were super comfy and the breakfast was always really fresh and delicious. I had a great stay here. 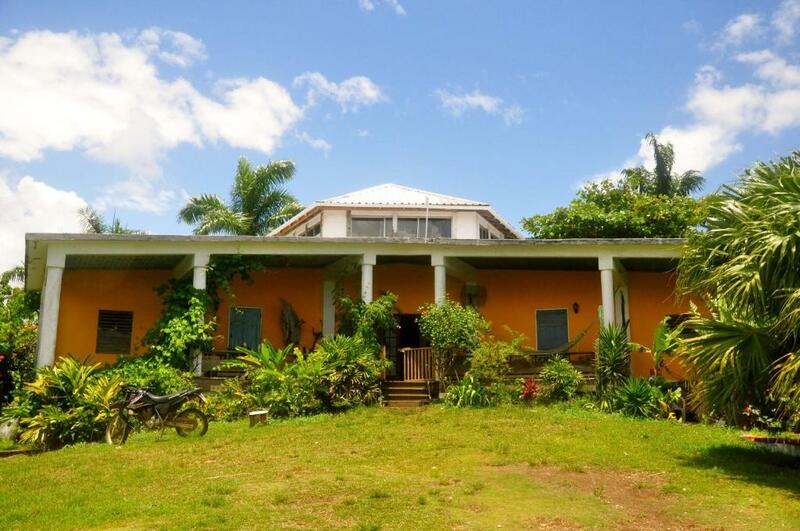 Germaican Hostel is set in the tropical forest just 1.9 mi outside Port Antonio. 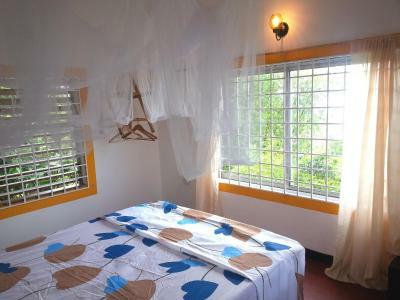 This hostel offers private rooms and beds in shared dorms, all with free WiFi and amazing jungle views. 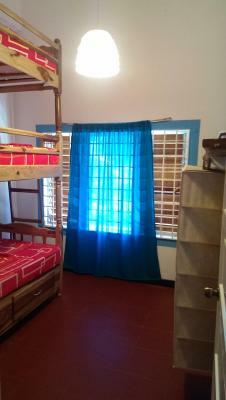 The main building of Germaican Hostel features 2 private double rooms and 2 dorms, along with 2 communal bathrooms. 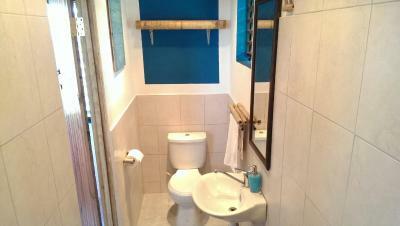 You can also book a private bungalow with an private bathroom and sea views. Germaican Hostel you will find a shared lounge, a vending machine and lush gardens. 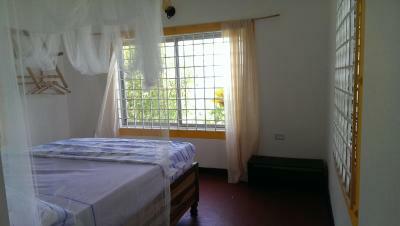 The property offers free parking and shuttle services. 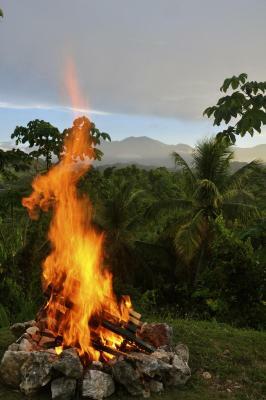 Port Antonio town center and beach are just a 10-minute drive from the hostel. The Blue Mountains National Park is around 25 mi away, while Kingston city center is within 59 mi. 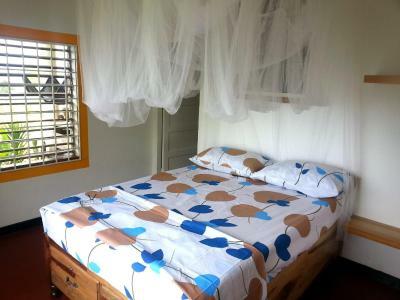 When would you like to stay at Germaican Hostel? 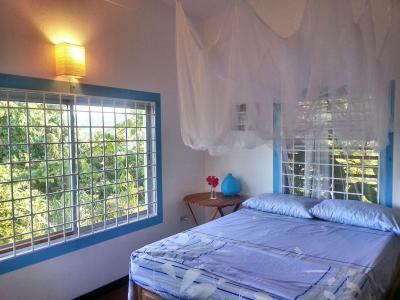 This bungalow has a tile/marble floor, private entrance and sea view. 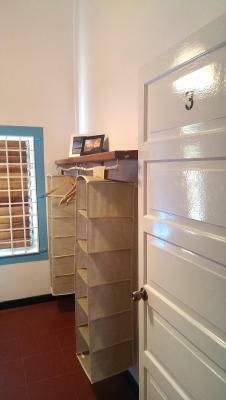 House Rules Germaican Hostel takes special requests – add in the next step! Please note hostel accepts payments in cash only. 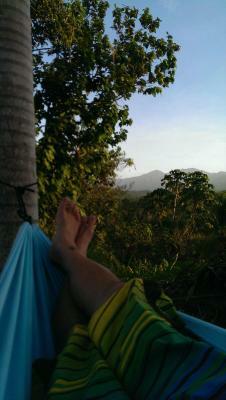 Just a couple of things: with the great view and solitude comes a remote location. It’s a ways up from town and normal cars need to be cautious driving up the rough road (4x4 preferable). Marion provides a daily ride down to town but this place is best if you have your on car. 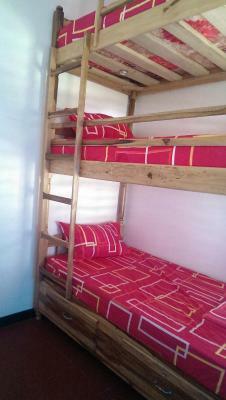 Finally, the dorm room beds were a bit sagging in the mattresses ... no problem for me but just saying. At night our room got a bit hot, making sleep a little bit of a challenge at times (tropical weather), so an oscillating fan would have been really helpful. There some things I didn't like about the place: - The road to get to the hostel is off-road, so you need a high or 4x4 car. It's quite the adventure to get there - The bungalow was not clean, bed is rather small for 2, bathroom is dirty and the shower gets clogged. - The breakfast menu was very poor. Not "Exceptional" as the page says. Also, I had to remove the ash-trays and smoking tools from the table so I could sit and have breakfast properly. 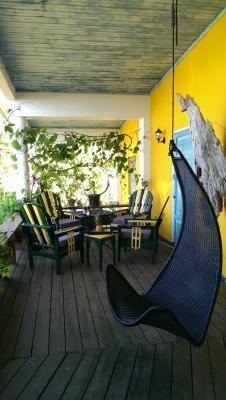 The outdoor furniture is very dirty and not well-maintained. 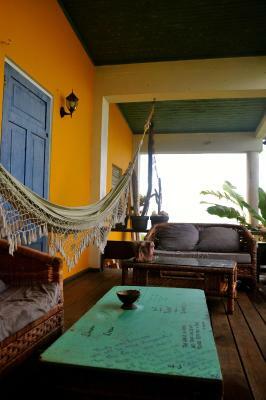 It's not a place where I would sit and relax even if it's a common area to be used by guests. - WIFI is rather inexistent, does not work properly. Absolutely beautiful environment, like in your dreams that pretty. The porch greatly situated and gives you the best view you've ever had. Definitely will return here! Miss it already by now. 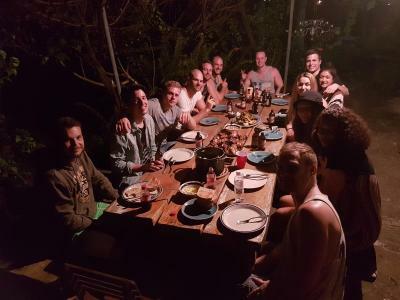 Staff, Lisa and Aron, were great hosts and took care for a delicious breakfast every morning. And let's mention Happy the cat, cute little kitty cat that welcomes you every morning and evening. See you soon Germaican! Got wrong directions from owner driving there, we almost seriously damaged our car (that has four wheel drive). No friendly welcome, not a friendly ambiance. Chairs broken in cabin. No hot water. The only benefit is the price if you are staying in a dorm; the private rooms are not worth their price in my opinion. 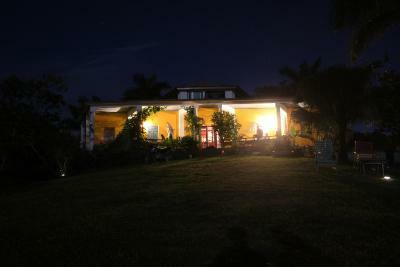 There are better rooms for the same amount around port Antonio. Im shocked this place had such good reviews given my experience there. The road to get to the hostel is rather rough, we were driving a rented car (no 4WD) and it was quite an adventure to get up there. We recommend to plan to arrive with daylight and call Aaron in advance, so he can explain you the best route (we got lost and took a bad way). If you don't have your own vehicle, Aaron helps you to arrange the transport. 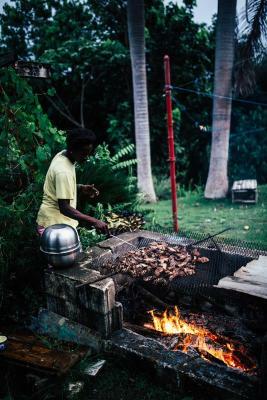 Once you are up there, it's not easy to get back to Port Antonio for dinner and there are no options to eat close by, so be prepared. 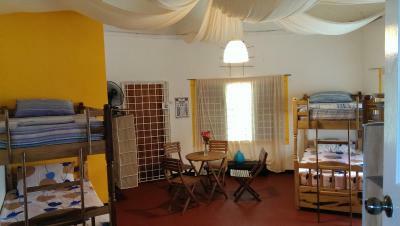 In the hostel there is a fully-equipped kitchen to cook your dinner, the best option is to buy something and cook there. We didn't know the hostel was so isolated, so we didn't bring any food. Likely Aaron helped us out with some pasta! 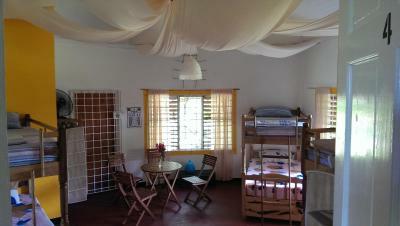 It's a very relaxed and cozy place, facilities are simple but everything is clean. 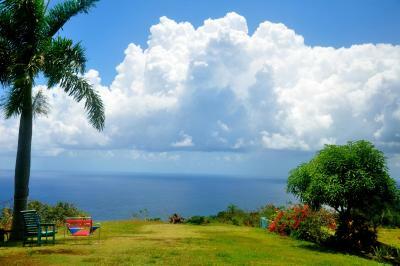 The view is beautiful because it's located on top of the mountains around Port Antonio. We stayed in the bungalow with private bathroom, it gives a lot of privacy as it's separated from the main house and it has a beautiful view. The view from this hostel is amazing one of the best I've ever seen, and ran in a relaxed way.